Spirit Lake’s Available building and industrial sites. 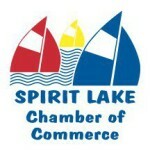 Spirit Lake has a unique mix of industrial and commercial sites for business expansions and entrepreneurial start ups. From light-industrial to office park options, we have something to fit your business growth needs. Numerous individual sites are available for retail and small commercial ventures. Some are in the bustling downtown core and others are located on or near the highway commercial areas. For information, contact Gregg Owens, City Administrator at gregg.owens@cityofspiritlake.org. The Lakes Business Park is an 80 acre park dedicated to commercial and industrial ventures. This park has wetlands and natural areas spread among business properties. Four lots are currently available for construction. This business park is on the west side of town, on Highway 9 and near Highway 86. Numerous commercial sites are available throughout the rest of the City, some with existing buildings. 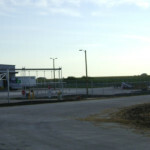 Most sites have direct access to US Highway 71 and IA Highway 9. In and near downtown are several sites with buildings or land available for new construction. 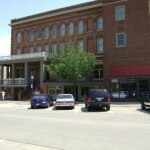 These include spaces in the historic Antlers Hotel, the Lake Street development area, and several other locations. The City is developing the East Lake Industrial Park on the east side of town, next to Highway 9/71. This 130 acre development site will be developed in phases based on demand. The Industrial Park offers a flexible range of options for new construction. This business park is 1.5 miles from downtown Spirit Lake in an attractive settting. 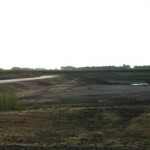 Sites are available for construction in 2013. For information or a complete listing of commercial and industrial sites for Spirit Lake, go to Iowa Lakes Corridor Development Corporation.